Yusuf Bey IV ordered one of his bodyguards at the former Your Black Muslim Bakery to kill two witnesses in his upcoming triple murder trial, a plot that investigators unraveled before anyone was attacked, according to documents and officials. Bey IV — being held in Santa Rita Jail in Dublin — tasked Gary Popoff, 42, with “eliminating witnesses,” an official with knowledge of the matter said Wednesday. According to police documents, investigators from the Alameda County District Attorney’s Office arrested Popoff during a traffic stop near downtown Oakland on March 12 on suspicion of attempted witness intimidation, the same day they learned of the alleged order from a confidential informant, according to documents. Popoff was on parole from state prison at the time. Last week, the state Department of Corrections and Rehabilitation ordered him returned to state prison for nine months, a department spokeswoman said. An investigation into the witness case is continuing; Popoff has not been charged. Bey IV and others are also being investigated. Bey IV made the orders by writing notes in the margins of legal transcripts that his then-lawyer, Lorna Patton Brown, transported from Santa Rita Jail and gave to Bey’s sister, Ayesha. Ayesha Bey gave the documents to Popoff, according to a written summary of the administrative hearing released late Wednesday by the corrections department. The summary also refers to jail phone calls between Bey IV and Popoff in which the witnesses were discussed. Brown did not respond to multiple phone calls and e-mails Wednesday. She stepped down as Bey IV’s attorney in the murder case two weeks ago, more than a year after he was indicted, citing an undisclosed conflict of interest. The summary states that she was subpoenaed to appear at Popoff’s hearing but didn’t show up or explain her absence. Bey IV, 24, former head of the defunct black empowerment organization, is charged with ordering the slaying of journalist Chauncey Bailey and two other men in 2007. The charges followed a grand jury hearing in April 2009 that included testimony from witnesses close to Bey IV and the bakery. Prosecutor Christopher Lamiero declined to comment Wednesday, citing the ongoing investigation. Bey IV’s lawyer, Gene Peretti, also declined to comment. He was appointed to the case last week after a lawyer who briefly replaced Brown withdrew because of a possible conflict of interest with a person expected to testify at the trial. The witnesses have been told about the matter, and one of them was moved out of state. One witness testified before the grand jury that indicted Bey IV last year in the case; the other gave a recorded statement to police. 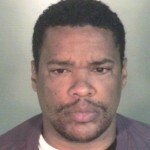 Law enforcement documents show Popoff has a lengthy criminal record and prison terms for robbery and theft. In 2008, he pleaded no contest to being a felon in possession of a firearm; Berkeley police, who stopped a car driven by bakery follower Tamon Halfin in June 2007, found a loaded, unregistered 9 mm semi-automatic pistol in a bag between Popoff’s feet. According to the hearing summary, Popoff has the letters “YBMB” — Your Black Muslim Bakery — tattooed on one of his arms and owed money to Bey IV. “He talked about wanting to help Yusuf Bey (IV) in various ways,” the document states. Popoff got out of prison in late December 2008 but was arrested for an unknown parole violation in April 2009 at Your Community Café in North Oakland — a business where he worked that was owned by a former bakery member. 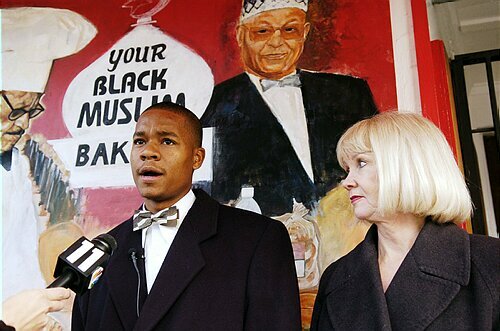 An affidavit prepared by Oakland police in July 2007 for a search warrant at Your Black Muslim Bakery includes a source identifying Popoff as “the bodyguard for Yusuf IV.” Police also noted Popoff had been riding in Bey IV’s car when Bey IV was arrested on a warrant in April 2006. Even if the hits had been carried out, the existing statements of the two witnesses still might have been used against Bey IV, said Peter Keane, a former San Francisco chief deputy public defender. If prosecutors were able to show the judge Bey IV “was responsible for the wrongdoing” that caused the witnesses to be unavailable for cross examination, the statements could be used. That might have worked against Bey IV, Keane said. “You can’t cross-examine a transcript,” he said. If Bey IV isn’t charged with ordering attempts on the witnesses’ lives, the action may be used against him at trial, Keane said. A prosecutor could still bring it up before the jury to show “a consciousness of guilt” by the defendant — he was so worried about being convicted that he took desperate action. “The judge would tell the jury to consider the action as evidence as a consciousness of guilt,” Keane said. Bey IV’s triple murder trial is scheduled to begin with pretrial motions Aug. 2, although it could be delayed to give the newly appointed lawyer, Peretti, more time to become familiar with the case. Superior Court Judge Morris Jacobson appointed Peretti last week. Jacobson said at the time that he believed lawyers for Bey IV and co-defendant Antoine Mackey had nearly completed writing a motion to move the case out of Alameda County. 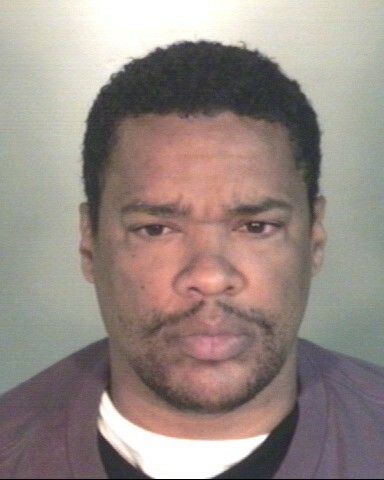 Bey IV is charged with ordering three men killed: Bailey, Michael Wills and Odell Roberson. Another bakery member, Devaughndre Broussard, has confessed to shooting Bailey and Roberson and has agreed to testify against Bey IV and Mackey. Broussard will receive a 25-year prison sentence as part of the deal. Broussard told a grand jury last year that Mackey aided him in hunting down Bailey and drove him from the slaying scene. He also said Mackey accompanied him when he killed Roberson and that Mackey bragged about killing Wills himself. Bey IV, Broussard said, was obsessed with killing Bailey to stop him from writing a story for the Oakland Post about the bakery’s troubled finances. Staff writers Harry Harris, Chris Metinko and Paul T. Rosynsky contributed to this story.